The Celts had a great respect for nature, they believed that all plants and animals had a lifeforce or spirit. Through this spirit, everything in their world was connected to the otherworld. The Druids knew that these elemental spirit guides exsisted and could help mankind when called upon. Later when Christianity came to Ireland, some of the earlier Gods and spirits were adopted. 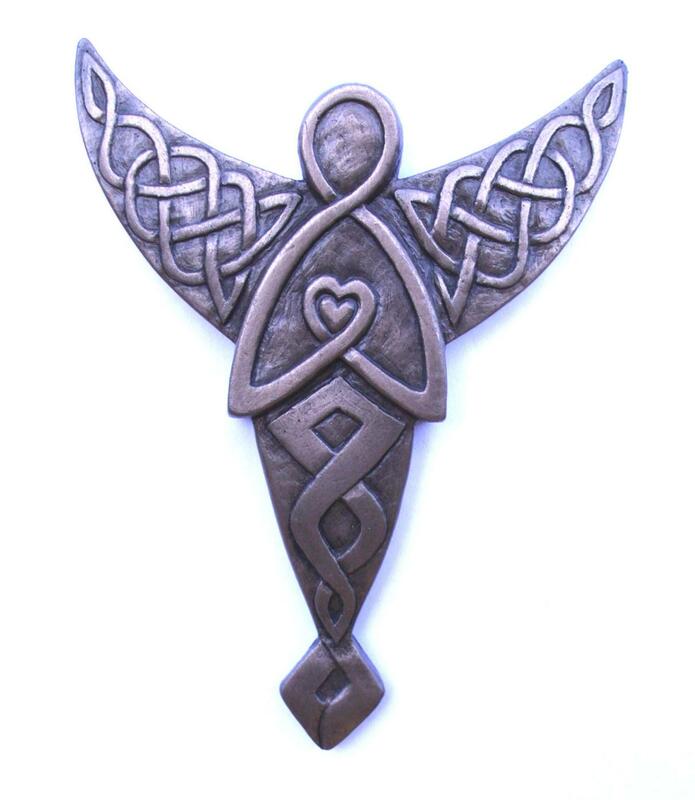 Within Celtic spirituality, Angels became as important as their earlier deities. 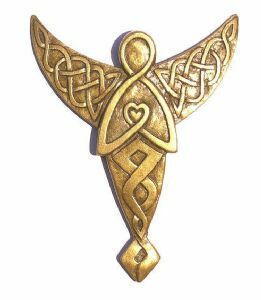 The shape of this Angel is based on the triangular knot ot trinity knot, a very important shape throughout Irish folklore. The number three remains as important to the Christian church as it was to the early Druids. This Celtic Angel wall plaque is created by Colm Mc Cann to celebrate the long tradition of Celtic Spiritualism in Ireland. It is 105mm x 130mm in size and is cold cast in brass. It is also available in bronze or pewter finishes. 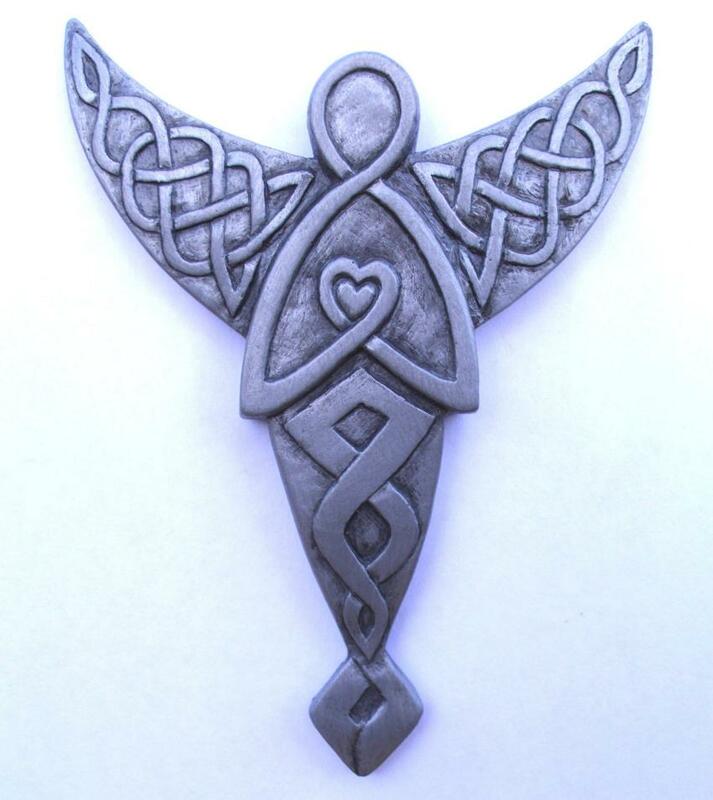 May this Celtic Angel guide you and your family, as you open your hearts and re-connect with nature as your Celtic ancestors did . Your world will be filled with much love, light and peace.